The BUF is conceived of as a broad-based stakeholder platform for dialogue and action to address urban issues. BUF is both a process and event to be institutionalised. This approach will ensure that the dialogue and action—rooted in a broad-based social consensus on the challenges arising from and possible responses to urbanization and urban poverty—will be sustained over the longer-term. 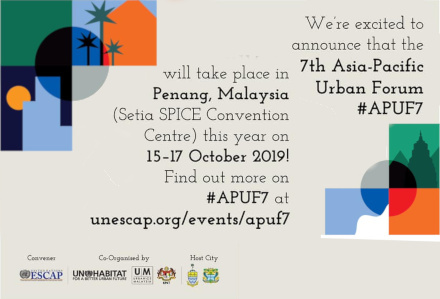 Similar to urban forums in a number of other countries, the BUF can promote this by offering urban sector stakeholders a space for mutual exchange of ideas, best practices and policy discussion on urbanization and urban development. Making Cities and Towns Work for All. The BUF shall promote dialogue and action to address urban issues by offering urban sector stakeholders a space for mutual exchanging of ideas and sharing best practices as well as policy discussion on urbanization and urban development. New [Exclusive] UN-Habitat's first-ever World Cities Report is out! International Training Programme (ITP) - Sustainable Urban Water and Sanitation (SUWAS)!